UFO SIGHTINGS DAILY: Car Size UFO Shoots Past Passenger Jet Over Seattle, Washington on Aug 7, 2015, UFO Sighting News. 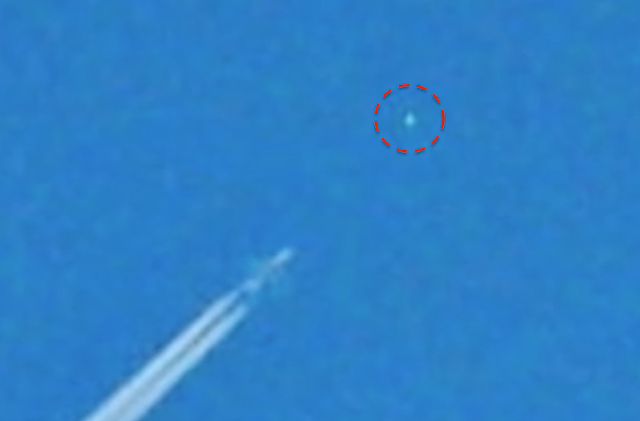 Car Size UFO Shoots Past Passenger Jet Over Seattle, Washington on Aug 7, 2015, UFO Sighting News. Orbs are often seen darting from plane to plane. Their speed is so intense, so fast, that the human eye often cannot see them. This is a great example of an orb near a plane. Look at the size of this orb. It is equal to the width of the planes body. About the size of a small car. At first I thought this might be a burned out pixel. The more I inspected the images and my equipment am now fairly certain this is flying up there with the plane. I capture this often although it's never clear or close enough. I am gonna use the telephoto more often from now on.